THE candidacy of Tom Carrasco for the chairmanship of the Philippine Olympic Committee has been put under protest by a member of the POC general assembly. A letter of protest has been filed by Philcycling secretary general Billy Sumagui to the POC election committee seeking the disqualification of Carrasco, who is running for another term as chairman of the national Olympic body. In the same protest letter, Sumagui also sought that the disqualification of Philcycling president and Cavite Rep. Abraham ‘Bambol’ Tolentino for the chairmanship of the POC be lifted. 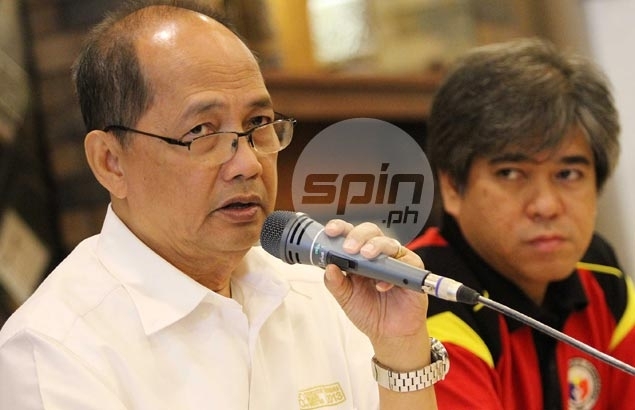 Sumagui said Carrasco is no longer the president of the Triathlon Association of the Philippines (TRAP) since last August 31 after he was replaced by Mon Marchan. Carrasco has since taken the role of secretary general of TRAP. “Article VII Section 11 of the new by-laws of the POC is clearly set forth that only the INCUMBENT President of the NSA can seek the position of Chairman and President,” wrote Sumagui. Tolentino’s running mate Ricky Vargas was also disqualified to seek the POC presidency for the same reason, interpreted by the election committee as the number of times the individual, in this case Vargas, was present in the bimonthly POC general assemblies. Sumagui cited the debatable interpretation of the term ‘active member’ in seeking Tolentino's reinstatement. “The only word that muddles any interpretation of the said section is the word ‘active’ that was arbitrarily used by the Election Committee to suit their preferences in interpreting that the said word disqualifies Rep. Abraham N. Tolentino from seeking the Chairmanship position,” wrote Sumagui. “I file also the protest on the ground that the word ‘active’ should be liberally interpreted to mean that the position refers to the NSA and not to the person itself,” wrote Sumagui.